Wouldn’t it be great if you could ship anything you wanted and never have to worry about it getting broken? Maybe in a perfect world you could simply throw your item into a box, send it off, and it would arrive in perfect condition. Unfortunately, that’s not the world we live in. Shipping fragile items requires a certain amount of care and strategy. The goal is to send your package from Point A to Point B without it getting damaged on the way to its destination. With that in mind, here are a few tips that can help you be sure that your shipment arrives in one piece each and every time! 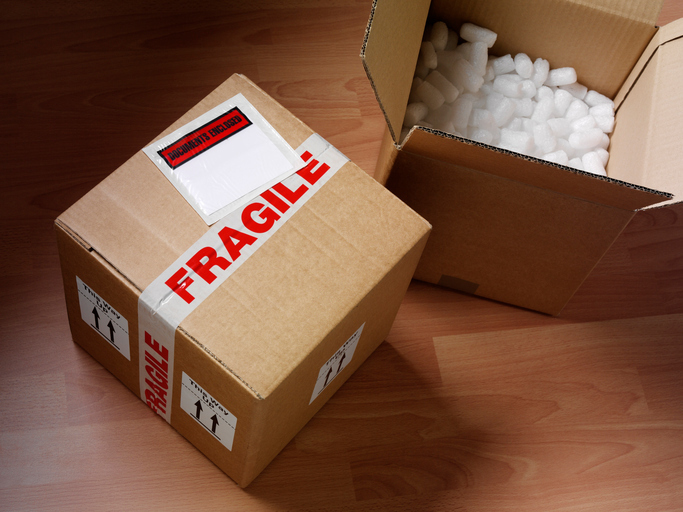 Though courier services are a reliable shipping method, there’s always a risk of damage when shipping fragile items. 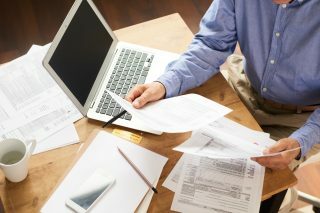 Keep reading this article to learn how you can best prepare your breakable products for the mail. The size box you choose for shipping your item is more important than you might think. Many people make the mistake of using a box that is too big so that they can stuff it full of extra padding. This is actually not a very wise idea because the peanuts or bubble wrap can shift around during transit, allowing the fragile item to shift around as well and increase the chances of getting damaged. A larger box will also require higher shipping costs. The perfect size box will give you a couple of extra inches on each side of the item you’re shipping. This allows you enough room for ample padding materials yet also creates a snug fit so that nothing moves around. Saving a little money on a fragile box is something you’ll probably regret in the long run. A box made of flimsy materials won’t hold up, and could ultimately get severely dented or crushed in transit. When shopping for shipping containers, look for mailers that are at least 1/8 inch thick, and boxes made of B-flute. The cost for a higher-quality box typically amounts to very little money. And this will ultimately prove to be a small price to pay for the peace of mind of knowing that your breakable item is adequately protected. Investing in bubble wrap is probably the best way to protect fragile items from damage. Just be sure to buy plenty and to make liberal use of it. If you’re shipping an item like a drinking glass or vase, fill the empty cavity with bubble wrap or stuff in some crumpled paper. Then cover the item with a layer of paper before adding another layer or two of bubble wrap. Be sure to use plenty of tape, but not too much. Remember that someone on the other end will need to unwrap the item, and endless amounts of tape can make the task extremely frustrating and time-consuming. Now that your item is secured encased in bubble wrap and paper, it’s time to prepare the box. As mentioned before, you’ll want a box that offers a couple extra inches of space for adding some layers of padding. Filler material like peanuts, bubble wrap, or air pillows work best. So start at the bottom of the box and make a nest for the item to rest in. Remember that the primary goal is to keep your item from moving around inside. After placing the item inside, cover it with a layer of padding, leaving just enough to space to be able to easily close and seal the box and seal it with tape. We understand that simply writing “FRAGILE” on the outside of the shipping box isn’t a guarantee that it will be handled with care while in transit. But it does help bring attention to the fragile contents. Not every package gets handled with love or gets placed gently among other boxes. This is just a reality of the shipping business. But by not taking the time to label your box as FRAGILE, you are almost certainly lowering the odds of it arriving at its destination undamaged. So much time is spent careful packaging fragile items for shipment that many people forget to consider that each item will need to eventually be opened and removed from the packaging. For example, let’s say that you are moving to a new house. You’ve used great care and spent a lot of time boxing up dishes and other fragile items for shipment. So be sure that everything is labeled so that the unpacking process is simple and easy. Also, keep in mind what you plan to do with the materials that you used for shipping. All of the paper, peanuts, and bubble wrap can be recycled rather than tossed out with the garbage. Being a good citizen and recycling your packing materials can go a long way toward saving the environment. Not everyone is as skilled at preparing a package to be shipped as others. Does this describe you? There’s no need to panic. There are plenty of resources available for those who lack the time or skills to prepare their fragile items for shipment. 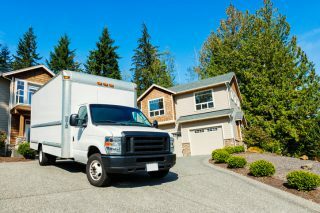 Look online for help or contact a moving specialist for tips. These experts are always happy to help, and their advice can make your shipping experience much less stressful. Shipping fragile items is actually easier than you might think. Your delicate possessions are important to you, and thus you want to take whatever steps are necessary to prevent damage during shipment. Accidents do happen, but these tips should go a long way toward helping you learn how to ship fragile items without incident. Just remember that preparing fragile items for shipment isn’t rocket science, but it is an art form. Click here to see 7 ways that same day delivery makes a difference. Have you ever been outside a doctor’s office and saw a big box attached to the door? It’s not a cash box or a mailbox. It’s a box full of specimens that need to go for testing. Depending on the clinic this could be blood, urine, or skin samples. Anything biohazardous gets properly packaged and put in this box. Then, a courier comes and picks up the samples to take them to the testing lab. If it’s a sexual health clinic, these may be pregnancy test or blood panels. The person who transports the specimens is the lab courier. Here’s a little bit more about what they do. Who Can Be A Lab Courier? About anyone can be a lab courier, as long as they’re trustworthy and up for the job. It’s not as easy as driving around and delivering packages. The species need to be well taken care of, which sometimes means keeping them at body temperature. Once the lab courier picks up the specimens, they need to make sure they have all the information they need to process the samples. This includes double checking at the clinic and making sure they go to the right spots once they arrive at the lab. Lab couriers need a good driving record and attention to detail. They have to keep multiple deliveries organized at the same time and are responsible for the validity of the samples. You also need knowledge of data handling policies, like HIPPA. You’re handling people’s samples and their very private health data. Sharing anything you learn or see on the job about patients is highly illegal and a reason for termination. If you’re interested in becoming a lab courier or are just curious, here’s what a typical day looks like. The courier goes to the lab and picks up product refills and the company van. They make sure they have everything they need for the delivery, including safe transport stations. They then check their orders for the day and pick up the samples from a series of stops. The courier must keep the samples separate, so that urine from Clinic A doesn’t go to Clinic B. Once they’re collected the samples they have on the agenda for the day, they take them back to the laboratory. At the lab, they file each sample under the right clinic and make sure they’re organized into the correct tests. In the case that a specimen needs air-delivery, the courier makes sure it gets to the plane safely. They package the specimen, so it goes unharmed and sets up or communicates with a courier at the other end. That courier receives the sample and takes it to the lab where it goes for testing. Some lab couriers act as lab assistants, restocking any supplies the clinic orders through the company. This may be sample cups, labels, or medical swabs. Whatever’s necessary for them to hand in properly collected samples. If the clinic staff had an issue with past deliveries or questions, the courier could act as a messenger. That depends on the service and the size of their staff. If a courier picks up from the same clinic every day, they need to make sure their timing is consistent. Knowing when samples are picked up helps the clinic staff know when to schedule which appointments. It also gives them a better idea of when results will come back, which they can pass on to patients. Many couriers establish friendly relationships with client staff. It’s not unlike your always-home neighbor and a friendly mailman. In short, couriers extend the viability of a sample by making sure it stays in peak condition. If someone leaves a vial of urine in a box in the hot sun – tests may come out differently. The importance of keeping samples viable is vast. It’s the difference between delivering someone a correct and trustworthy test result and getting a foggy maybe. Without well-treated samples, test results come out wrong or test differently. The same enzymes or cells someone’s testing for can get damaged by heat, time or lack of oxygen. This wastes the patients time, their money, the clinic’s time and money – it’s bad news all around. If you’re a clinic looking for a new lab testing service, you want to check a few things. What are the lab’s certifications? Check who carries out or oversees lab tests. Do they have double testing or risk reduction strategies in place to guard against false results? Imagine telling a woman she’s not pregnant, when in fact, she is. If the result is inconclusive, what’s the lab’s policy? How soon can they alert you so you can get the patient in for a new sample? What’s the timing you can expect? When do your clinic samples need to be ready by? 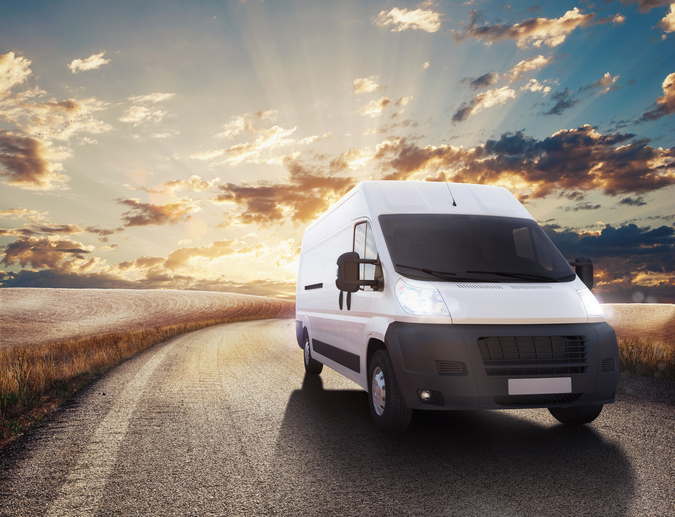 Most courier services come around end-of-day, but what if you have extended hours? If they pick up after you close, what options do they provide you with to store the specimens? Do they give you a lock box or a cooler of some sort? What happens if a specimen gets lost or damaged? How does the company go about that process? These are all relevant questions that you should ask a potential company. 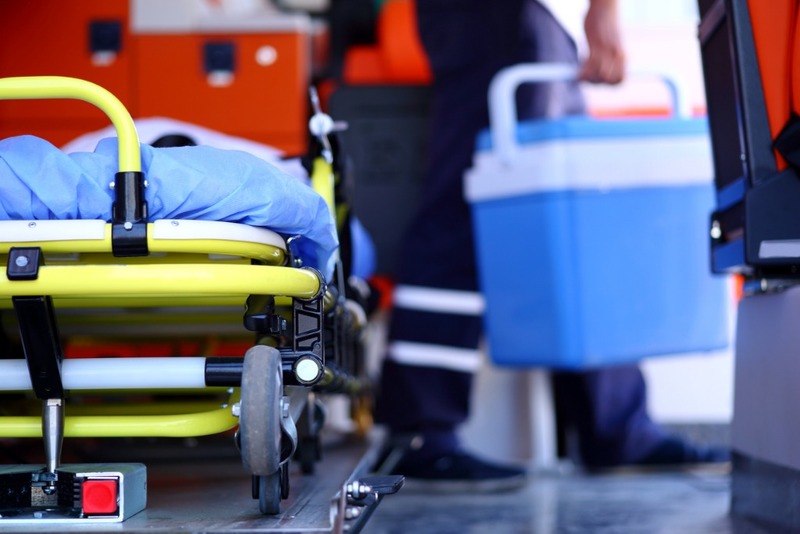 It could be the difference between a life and death diagnosis, depending on your niche. If you’ve just hired a new lab courier, congratulations! Take a moment (they’re in a hurry) to get to know them when they come by. Introduce yourself and the people the courier will most likely interact with. Most couriers run the same route daily, so you’ll be seeing them often! Need a new company? Check out our services. Give us the test to see if we’re the right fit for you. When it comes to purchasing goods online, there’s always an agency that’s going to ship what you bought at varying rates. There are types of shipping, and you’ve probably heard about ‘expedited shipping’. When you don’t have time to waste, you might consider it since time is a valuable thing. But, what’s expedited shipping exactly? Read on to find out! Expedited shipping is when a particular parcel is prioritized over others, improving its delivery speed. There are different routes used to accomplish such orders. Expedited shipping trucks rarely stop on their way too. With bigger companies, they might use a huge truck and hire two drivers to decrease transit time. Of course, there are other ways when it comes to international shipping. Companies don’t usually use ‘standard’ and ‘expedited’. DHL has ‘expedited’ and ‘overnight’ mail. USPS has ‘first class’ and ‘priority’ mail. FedEx has ‘ground’ and ‘express’ mail. All of these mean different things, so companies usually explain them thoroughly. Amazon’s expedited is different than eBay’s. It’s important to know the difference because it might make you wait longer than anticipated. For standard shipping, the seller would use post air mail and will take 1-3 weeks for main countries. It will take longer for other countries. There’s also a tracking number, so you can track it online and know where it is. For expedited shipping, the seller would use DHL, FedEx, or a local courier, which would take 3-7 days to reach the buyer’s house. Of course, a tracking number will be provided too. It’s assumed that fresh and/or fragile items are the only products that need to be distributed quickly. But, there are many products that require expedited delivery. The biggest benefit of expedited shipping is the guaranteed time. Shippers having precise schedules. However, the guaranteed delivery outweighs the value of poor customer service. If you need something in the fastest time possible, expedited shipping is the way to go. A great benefit of choosing expedited shipping is that there are fewer touch points. It means that there are fewer chances of something getting broken on the way. You might be curious about how companies can ship goods overnight or in a couple of days. You can ship a package from Miami, Florida to Anchorage, Alaska overnight. UPS and FedEx have massive shipping infrastructures and far more space at airports than commercial flights get. The result is that your packages can fly from airport to airport way easier than you can. FedEx’s superhub is located in Memphis International Airport, United States. How the FedEx superhub works is that every night, about 150 planes fly in from all around the world. That happens between the hours of 10 pm to 1 am. Immediately upon arrival, the planes are unloaded. Then, their packages are put into the hub’s automated sorting system. Within only 15 minutes, each package arrives at a staging area for its next flight. It’s already loaded into their suitable and right containers. Planes, therefore, can start taking off again at 2 am and continue to until 4 am. It means that everywhere in the US can have a FedEx plane arriving by 6 am. There are some destinations that don’t ship enough packages. To get to small towns fast, FedEx runs flights in small planes from the destinations of their larger jets. They then reach their destination and hand out the packages to the trucks who will ship them out to the buyer. Packages are transferred from planes, to smaller planes, to trucks to reach their destination. FedEx works really hard and fast to meet both the buyer’s and seller’s requirements. All of this happens while we are sleeping! As a seller, it’s important to have excellent customer service and satisfaction. One of the ways to achieve that is to expand your options by offering expedited shipping, for example. That’ll act as an incentive for the customer to order your goods because it’ll arrive by the time they need it. It makes products more attractive for them in a way since they have a control over their buying patterns. You should also understand the terms used. Expedited may not mean the fastest. In many cases, it could be a ‘level’ up from standard shipping if overnight shipping is available. Make sure to make your shipping options stated and clear as much as possible to avoid mishaps. If you’re selling in a marketplace like Amazon or eBay, be familiar with the terms used. Buyers often use ‘overnight’ shipping when requesting expedited shipping. As a seller, you should make sure of that so your customer’s package would arrive on the time they’re expecting it to be. If you don’t, you’ll end up losing customers and receiving bad reviews. People who pay for expedited shipping are in urgent need of that good. You should be responsible enough to deliver that. It’s not just ‘normal’ people who pay for such shipping. Companies who need inventory when they’re out of stock and there’s huge demand. Communication is very important too. You should be clear and concise when describing the shipping options you offer. Which carrier you chose, the cost, when you’ll ship and the expedited shipping time frame. If you only ship your goods every two days or only on weekdays, make sure to state that. Hopefully, you were able to understand the difference between expedited and standard shipping. As stated before, it’s important to understand the terms used before buying and/or selling goods. If you need a quote on your next expedited shipping order, reach out to us now. Going on vacation is always an exciting time no matter how near or far you’re traveling. But, there are a few things that can get in the way of how much you enjoy the journey. You should always try to arrive at the airport well ahead of time to make it to your gate peacefully. Wear comfortable clothing for the flight and try not to make your carry-on too heavy. Actually, invest in shipping luggage whenever possible. That’s right — you don’t have to lug your suitcase to the airport anymore. There’s a new way of doing things that is changing how you travel for business and for pleasure. 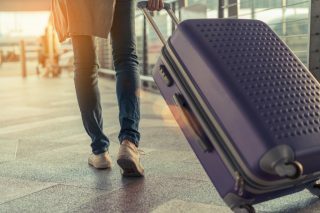 Keep reading to find out more about luggage shipping and the benefits it offers any travel experience. Shipping luggage might sound like more of a hassle than checking it or bringing it with you, but it’s the exact opposite. When you ship luggage you can kick back and relax at the airport without having to keep track of too many things. It’s all a matter of planning ahead in order to best enjoy your vacation when the time comes. Here’s everything you need to do to ship luggage. Like any other vacation, everything starts with booking your flight. In the case of shipping luggage, though, you’re booking separate flights. One set of tickets is the standard airfare you buy for you and your family or business associates. The other ticket is for a separate flight on a different day. The latter is for your luggage delivery service. You can usually find flights through the service you’re working with, just as you’d buy a regular flight from the airline you like to use. While you get the benefit of shipping bags, you still have to pack them. This is the most important part of the process for people who love to pack last-minute. Since you’re sending your bags to your destination ahead of time, you have to pack with the shipping date in mind, not your travel date. This means making sure all your laundry is done and all your pre-vacation shopping is complete. It’s a little bit of extra planning to do, but it’s well worth the benefits available. There’s little left to do once you’re done with the packing. From there, the luggage shipping service you’ve hired picks up the bags from your front door (or your office building). Next, they wrap and label your luggage for added safety measures and to ensure full efficiency. Then, the luggage gets taken to your final destination — aka where you plan to stay. You don’t have to worry about picking up your luggage in the airport then fitting it all in the car service you’ve hired. Instead, you travel in comfort from door to door and your luggage will be waiting for you at your hotel/villa/family’s house. There are even mobile notification updates included in the tracking system to give you the status of your belongings. Once you’ve used a luggage shipping service, you may never go back to traveling with your bags ever again. It’s just so much easier to enjoy yourself this way! When you ship your luggage, you don’t have to worry about someone watching your bag or stealing your belongings as you’re walking around the airport. This is especially beneficial if you’re traveling alone or if you have a big family/travel group to keep track of. The more people in your party, the more backpacks and suitcases there are to count. Make it all easier on yourself and others involved by putting the suitcases in the hands of the professionals. This allows everyone to take as many trips to the bathroom as needed or relax at the airport bar while waiting for the flight. Whatever the situation, you’re sure to be more relaxed knowing your luggage is already waiting for you. It’s one thing to keep track of everything when you’re waiting at the gate, and another to lug all your belongings through security. There’s nothing better than going through TSA with just you and yourself to worry about. You don’t have to worry about holding up the line or forgetting something. Even with the big bags you normally check before security, shipping luggage means that’s one less line you have to stand in. This saves more time (and stress!) than you might think. Speaking of saving time, have you ever been short on time for a flight? It’s happened to every traveler once or twice. You get stuck in traffic or have a delayed connecting flight, then you have to bolt to make it to your gate. It’s much easier to make it in time if you don’t have to pull a carry-on behind you. You can breeze through the terminals and catch your flight, without having to catch your breath as much from running and lifting something heavy. Whether you barely make your flight or you’re at the gate well ahead of time, you should get the most out of your vacation once you land. This doesn’t mean killing time at the baggage claim. Luckily, you don’t have to waste a second there when you ship your luggage. Instead, you can head straight from the exit of the plane to the pick-up area or the car rental office. Plus, you don’t have to worry about getting a vehicle big enough for all your luggage! It’s all taken care of and ready to greet you at your place of accommodation. Look into shipping luggage the next time you book a flight. It’s not a travel tool everyone thinks about, but it truly does enhance the whole vacation experience. You’ll feel less stress before your travel day even arrives, and you’ll be thankful you thought to ship your bags once you arrive at your destination. The process is easy, the benefits are clear, and the whole journey becomes much more enjoyable. To get a quote for luggage shipping, click here. The United States Post Office delivers about 500 million pieces of mail in a single day. The takeaway here? With everything else they have to deliver and take care of, there’s a chance your important package, letter, or shipping box could be delayed, damaged, or even lost. When it’s not worth the risk, you need to rely on a last-mile delivery service. But what should you look for when choosing a last-mile delivery service? When it comes to finding the right last mile delivery service, the security of your packages and the professionalism with which they’re delivered are the two most important things. Unfortunately, there are dishonest mail carriers and couriers out there who will take advantage of you. That’s why, when you’re trying to find a last-mile delivery service, you should ask about how the company screens their potential employees. Do they run background checks on them? How are they trained to keep your mail secure on every step of the journey? What sort of company standards does the delivery service enforce, and what sort of training programs and certifications (including driver’s licenses, etc) do they use? Finally, when they meet with your customers, how do they identify themselves? What special care, like white glove service if needed, do they provide? After all, these people will be representing your brand and company, even if they’re not your direct employees. 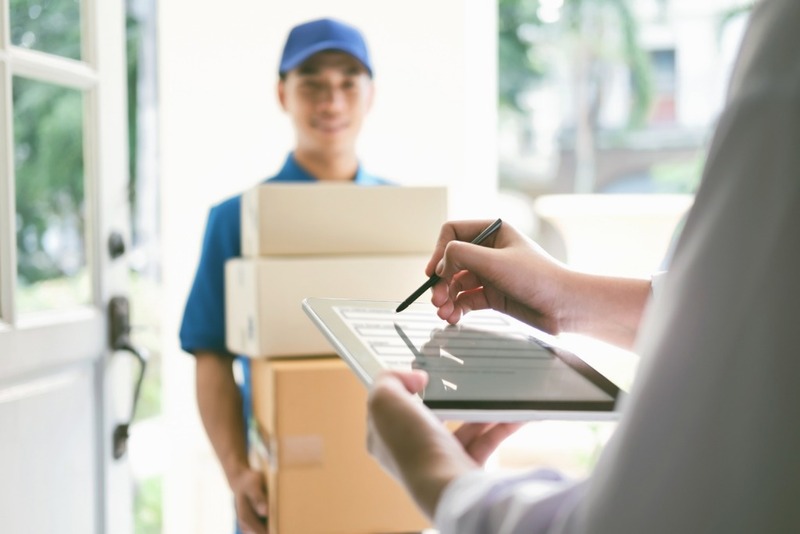 When you’re choosing a last-mile delivery service, you also need to understand how the company will help you to track your packages every step of the way. Look for a company that makes it incredibly easy to schedule pickups through a phone call, an app, or simply online. You want to be able to get a quote in a few minutes, and you will need to be able to place an order for a pickup or delivery no matter where you are. Additionally, ask if the company will send you an email once your package has been picked up. Ask when you’ll be able to get a tracking number, and how they will provide you with an electronic proof of delivery. You should also ask the company you’re thinking of doing business with if they will be able to send you text message updates. That way, you can check on the status no matter where you are. When you’re on the hunt for a reliable last mile delivery service, one of the best ways to understand the level of service you can expect is to look at what past customers are saying. Sure, you can read the testimonial page of a website. But remember that companies aren’t likely to put negative reviews or suggestions for improvement from past clients on their site. Check out their reviews on Google My Business and Yelp. While a few negative experiences are fine, be cautious if bad service seems to be the norm, not the exception. The same thing goes if you note that the company hasn’t responded to or tried to remedy these negative reviews in any way. You should also make it a point to speak with past customers directly. Ask them if there were any hidden last mile delivery costs if the shipments were made on time and if they got the tracking updates that they needed. Make sure that you talk to past clients who had the same size, weight, and type of items shipped and delivered that you’re considering. If you’re thinking of choosing a last-mile delivery service that doesn’t want to give you references, now is the time to start your search over again. It’s just not worth it. 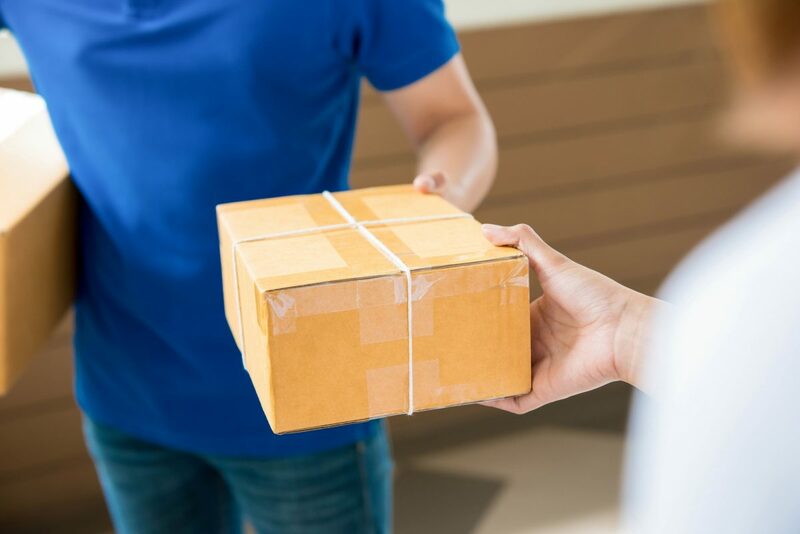 With fast shipping speeds now among the most important parts of consumer experience, when you’re working with a last-mile delivery service, you need to know you can count on them to deliver quickly. You don’t want the reputation of your business to suffer because of a lackluster delivery and courier service. Ask how they calculate the standard shipping speed, and whether or not they offer any guarantees for a delivery time. Also, ask about the different delivery window options they offer. Can your clients get what they need at any time, or will they be forced to wait? 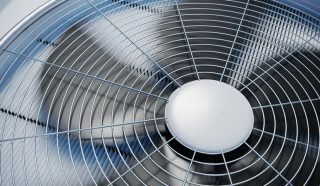 Additionally, talk to the courier service about how they’ll respond in the event of bad weather or another factor that’s likely beyond their control. Sure, you can’t always help slow delivery times, but you need to know how they’ll work to get things as close to on-time delivery as possible in these situations. Need a Reliable Last Mile Delivery Service? We hope that this post has helped you to understand what you need to look out for when you’re in the market for a last-mile delivery service. When you’re choosing a last-mile delivery service, don’t settle for anything less than the absolute best. In addition to rush and on-demand courier services, we also offer pre-scheduled route delivery, air freight, luggage delivery, and much more. Spend some time on our website to learn more about the wide variety of shipping and delivery services that we have to offer. When you’re ready, be sure to get in touch with us to receive a quote.